And now, please enjoy join us for a fun and interactive tutorial about teeth whitening. Take a moment to press your tongue against your front teeth. You are touching the hardest tissue in your body. Tooth enamel. This tough outer shell protects the dentin within your teeth, the calcified tissue which surrounds the pulp and is necessary to support the enamel itself. In an interesting symbiotic relationship, the enamel provides insulation for the dentin against harmful chemicals and extreme temperatures, as well as protection from the daily acts of biting, chewing, grinding and brushing. Tooth enamel is also responsible for giving teeth the bright white luster of youth. Part of the unforgiving aging process we experience as human beings is a gradual reduction in the aforementioned youthful luster of our teeth. Over time, the color of teeth gradually shifts from a whiter hue to a duller tint with properties of yellow and/or gray. The rate and degree at which this natural progression takes place depend on a wide variety of factors; genetics, the food you eat, aging, dental hygiene, lifestyle and others. At Boynton Dental Studio, Dr. Salee can help you regain beautiful white teeth with the right products and the highest level of care. However, here are some things you should know about teeth whitening before you have the procedure done. Carbamide or hydrogen peroxide are the main components of prescription whitening gel provided to patients by Dr. Elan Salee at The Boynton Dental Studio. Whitening procedures are effective on all teeth – However, it is important to consult with Dr. Salee to determine the degree at which the whitening procedure will be successful. 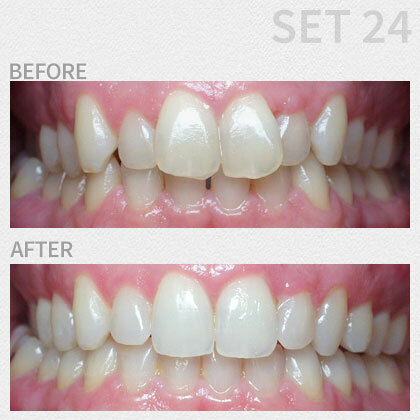 Whitening your teeth does not yield permanent results. Generally, whitening can provide you with brighter teeth for one to three years. For this reason, Dr. Salee recommends take-home whitening trays, as this procedure can be completed at home and touched up at your when needed. If you are having your teeth whitened, it is important to reduce your intake of foods and drinks that may stain your teeth. Dr. Salee will inform you of any foods or beverages to avoid. This often includes liquids or juices containing tanins, a common color component in juices. Side effects are possible depending on the sensitivity of your teeth. Dr. Salee will discuss these potential sensitivities and how to remedy them. It is a common myth that whitening gels (tooth bleach) can damage your enamel and/or teeth. This could not be further from the truth, as whitening gels are completely biocompatible and safe for your teeth. They have been carefully designed to be so. Even though you can try various home products, it is better to have your teeth whitened by a dental professional. Over-the-counter products will not render results that are even remotely close to those achieved with the in-office prescribed whitening gel at Boynton Dental Studio. If you are looking for a way to have a bright and healthy smile, schedule an appointment with an expert today. Dr. Elan Salee and the Boynton Dental Studio offers a range of services – including general, cosmetic and reconstructive dentistry – to help you gain the stunning smile and healthy teeth and gums you have always wanted. You can always expect quality care in a friendly and safe atmosphere when you choose Boynton Dental Studio. Call today to schedule an appointment (561) 732-8700.